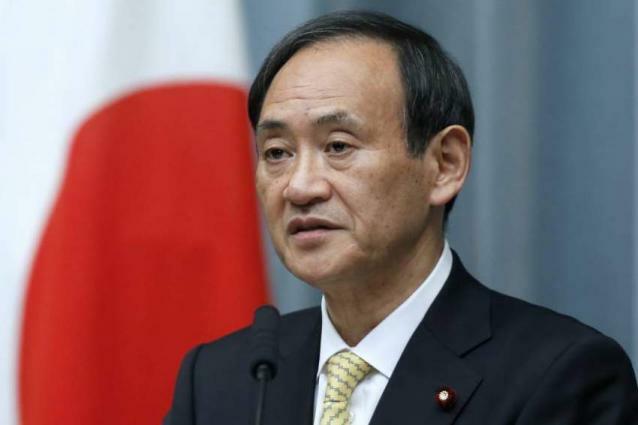 TOKYO (UrduPoint News / Sputnik - 17th April, 2019) Japan has launched an emergency inspection of all cultural heritage sites after a huge fire ravaged the iconic Notre Dame cathedral, Japanese Chief Cabinet Secretary Yoshihide Suga said on Wednesday. "Based on the results of the inspection, comprehensive fire safety measures will be developed," Suga said at a press conference. The Japanese Ministry of education, Culture, sports, Science and Technology has already sent the relevant orders to the addresses of 289 objects recognized in Japan as national treasure and 4,744 cultural heritage sites. In addition, Suga reiterated that if the French government "sends a specific request for assistance, Japan will be ready to give a positive response. A massive fire broke out at the iconic cathedral on Monday evening, causing the collapse of the Notre Dame spire and two-thirds of the roof. The blaze was fully extinguished only on Tuesday morning. French President Emmanuel Macron has described the blaze as a "terrible tragedy" and promised to rebuild the 850-year-old cathedral. The United Nations Educational, Scientific and Cultural Organization (UNESCO), several European nations and companies across the world have already expressed readiness to contribute to rebuilding Notre-Dame de Paris.